GET YOUR COME, FOLLOW ME STUDY HELPS HERE! Cute and Easy Gift Ideas! Home Decor, Printables and More! What kid doesn’t love magic? 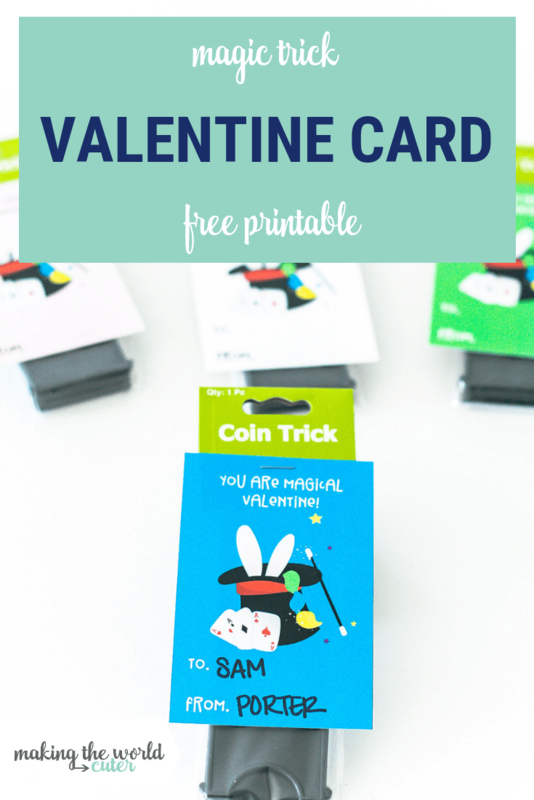 Print out these Magic Valentine cards and give with a little magic trick or wand for a fun non candy Valentine treat! I have a little magician in my house, so we are always getting special magic shows here! There were a bunch of fun magic tricks and wands on Oriental Trading, but these little magic coin tricks were a fantastic price! Bonus, they are easy enough that most kids can pull off the trick, making it look like the coin actually disappeared. 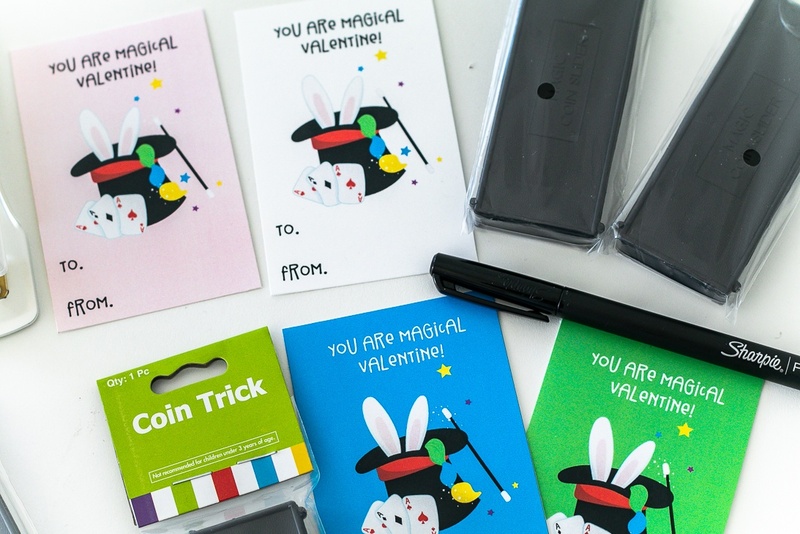 Print off these cute magic Valentine cards to give an easy little gift to the whole class. There are two different versions, colored backgrounds, and a more printer ink friendly white background only. First, cut out the cards and then have your child write in their names and their friends names in the right places. Then just take a stapler and staple the tricks to the back of the card, ready to give to their class! 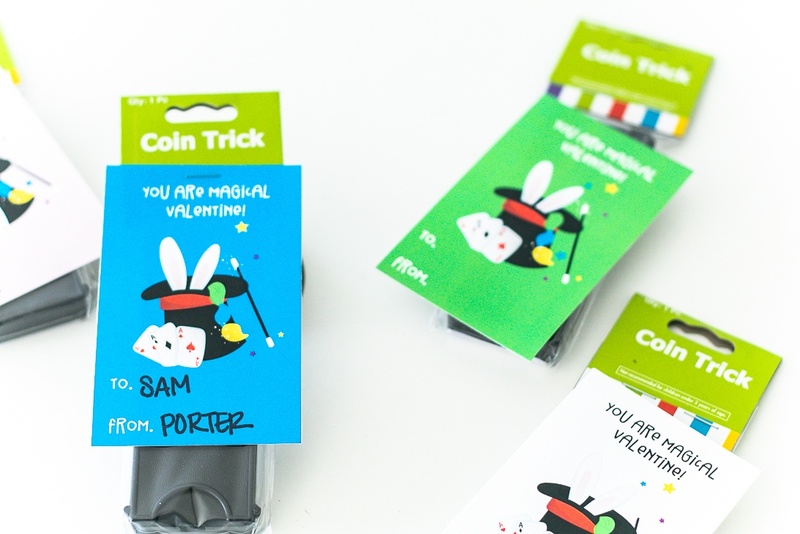 Be sure to check out even more fun ideas for Valentines Day here on Making the World Cuter! Tiffany is a stay at home mom to four ridiculously cute kids and wife to one smoking hot McDreamy lookalike. She loves the color white, chocolate chip cookies and sunshine. She is the founder of Making the World Cuter, where she loves to decorate, make cute gifts and fun printables. Advertising Disclosure: Making the World Cuter may be compensated in exchange for featured placement of certain sponsored products and services, or your clicking on links posted on this website. All views and opinions are 100% my own. Read our disclosure policy for more info. I am a member of Oriental Trading's Fun Squad and receive product and/or compensation for posts containing their products. Making the World Cuter is a participant in the Amazon Services LLC Associates Program, an affiliate advertising program designed to provide a means for sites to earn advertising fees by advertising and linking to amazon.com. As such, affiliate links are utilized on this blog. GET ACCESS TO ALL THE FREE STUFF! YOU'LL GET INSTANT ACCESS TO EVERY FREE THING ON MY SITE AND GET UPDATED ON ALL THE NEW CUTENESS! WANT ACCESS TO MY EVER GROWING LIBRARY OF CUTE FREE PRINTABLES? SIGN UP OR LOG IN BELOW! Get Access NOW to my extensive library of free printable goodies! Well let's you right to the good stuff!